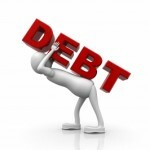 If you find yourself struggling with your debts then you probably need some help and advice. Rather than respond to an advert for a payday loan or seek the services of a debt management management company, which will probably make matters worse, why not access one of the many free options for debt advice. Offers free debt advice over the telephone, specialist advice is backed up with a range of self-help material. Charity offering free debt advice since 1993 helping around 400,000 each year. Sign up for a useful newsletter offering money advice and how to avoid debt. Debt advice and education charity established in 2002 and has a developed a useful range of educational material aimed at schoolchildren. Offers excellent advice on a variety of topics including debt. You can obtain advice from a CAB centre, over the telephone or via their excellent website offering a number of self help guides.